The NFL Draft is coming to Philly. Yup, you read that right. The three-day spectacle that is the NFL Draft will be taking place in Philadelphia beginning on April 27. The draft will be held along Benjamin Franklin Parkway. Rumors have been circulating the past few months that the Draft was making its way to the City of Brotherly Love, but on Sept. 1 it was made official. NFL Commissioner Roger Goodell and Philadelphia Mayor Jim Kenney held a press conference to make the announcement. After taking place in New York for over 50 years, the NFL Draft has a new location for the second time in three years. The past two drafts have taken place in Chicago, and will now be held in Philly for the first time since 1961. The first ever NFL Draft was also held in Philly in 1936. This news should be exciting for football fans in Bloomsburg and the surrounding areas. With Philly only being a two-hour drive away, Bloomsburg residents, BU students. and BU faculty will have the opportunity to purchase tickets for the draft and attend the event in person. 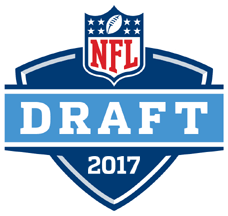 Whether you are a college football fan, professional football fan, or both, attending the NFL Draft is a once-in-a-lifetime experience that you should take advantage of if it is being held in a city close to you. A large portion of NFL fans in Bloomsburg support the Philadelphia Eagles. If you are an Eagles fan, keep in mind that your team gave up its 2017 first-round pick to draft quarterback Carson Wentz this year. So if you want to attend the Draft, day 2 might be the right day for you. The NFL Draft is a life-changing day for football players who have been dreaming of playing in the pros since they were kids. In 2017, football fans in Bloomsburg, Pa. and beyond will have the opportunity to witness these dreams come true in person.